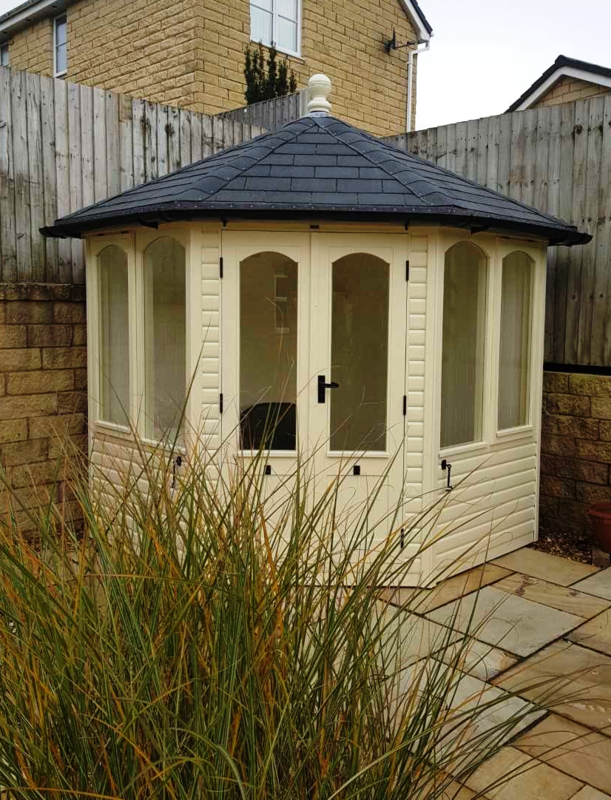 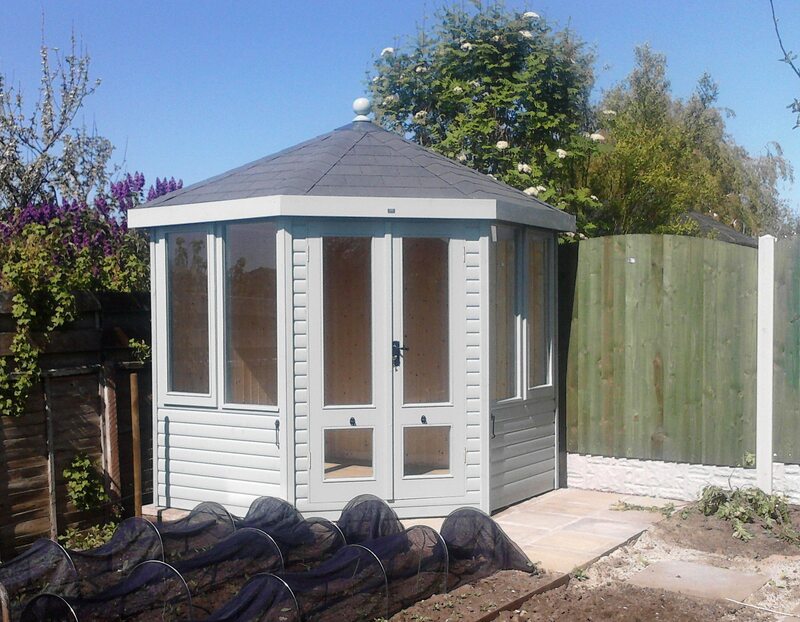 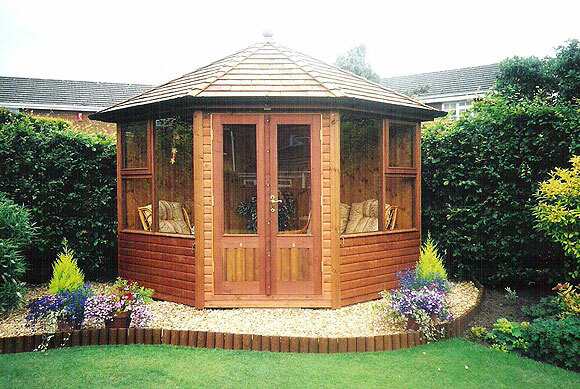 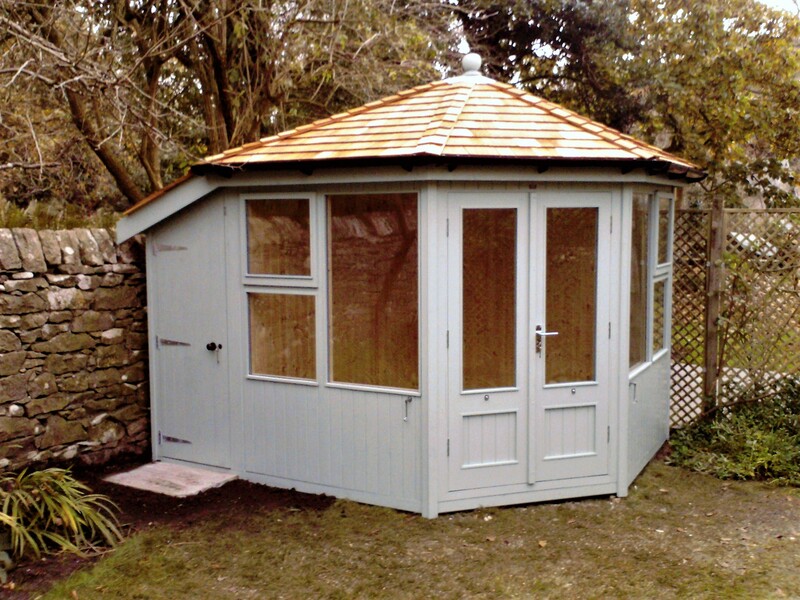 The Bermuda Summerhouse has five sides and is designed to fit neatly into the corner of your garden. 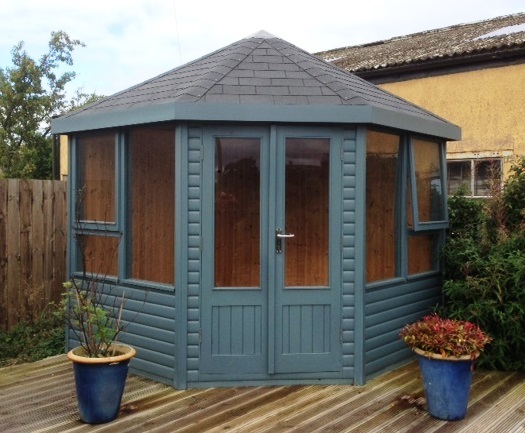 The roof is covered with felt slates as standard and finished off with a ball finial. 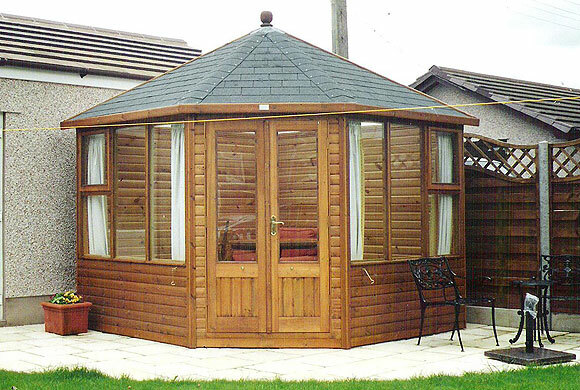 Cedar Shingles or Westmorland Slate can be used as an optional extra. 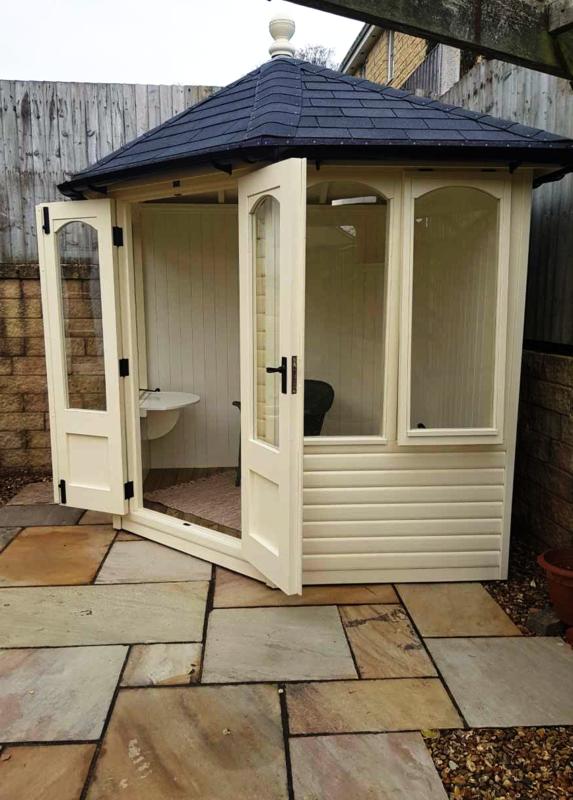 The building is constructed with treated Redwood timber which is finished off with a four coat stain or paint system, in a colour of your choice, before delivery. 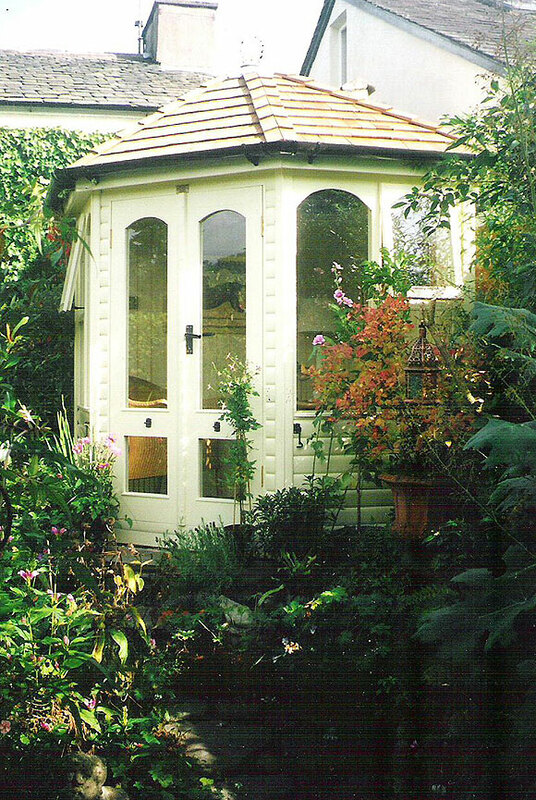 Double doors, opening outwards with a five lever mortice lock and cabin hooks. 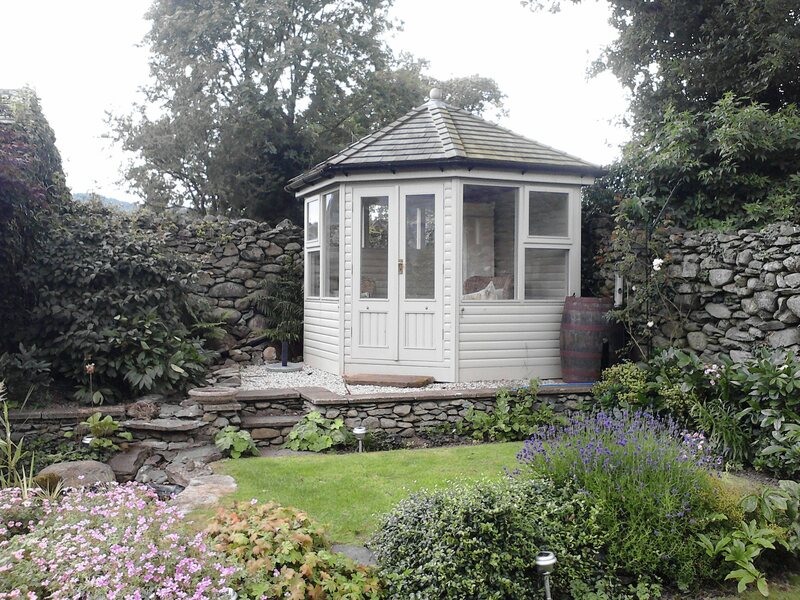 Windows as required with two to be opening windows. 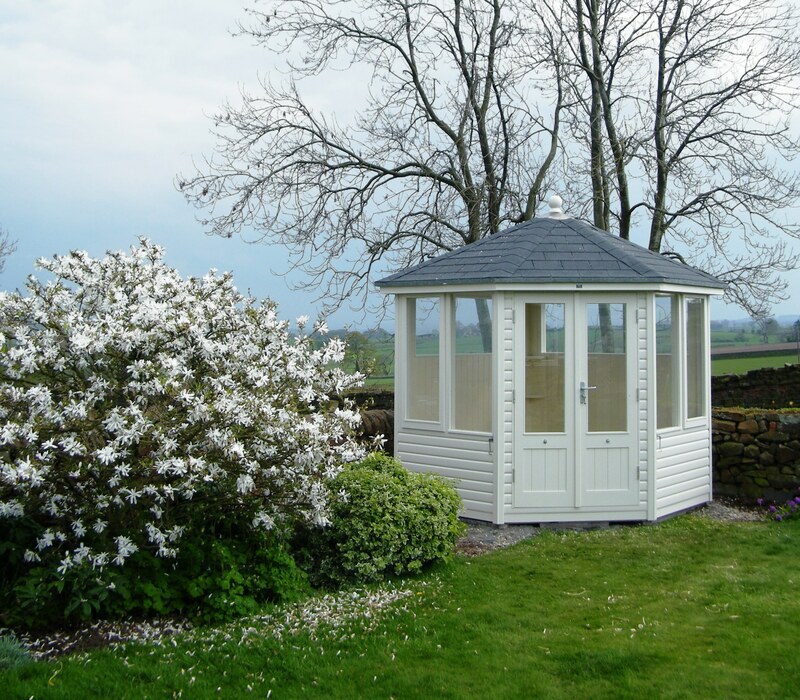 All glass is toughened safety glass. 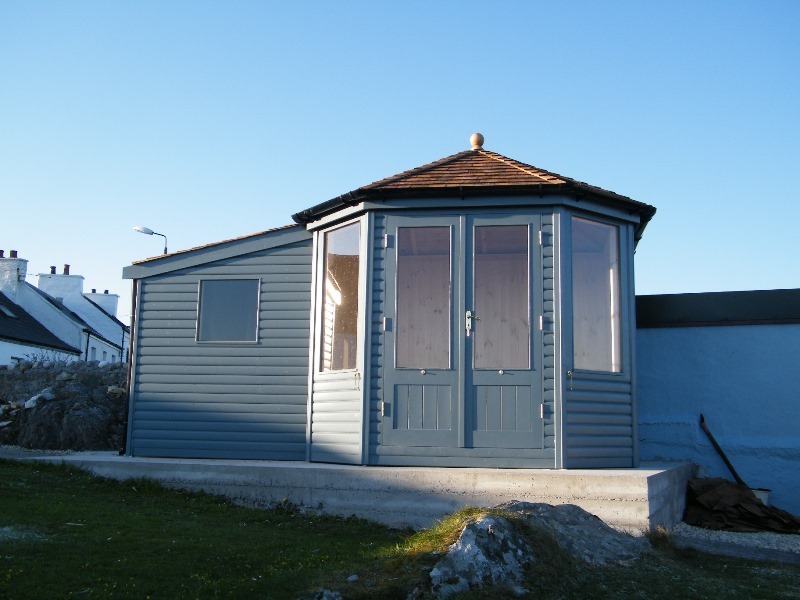 Choice of door and window furniture. 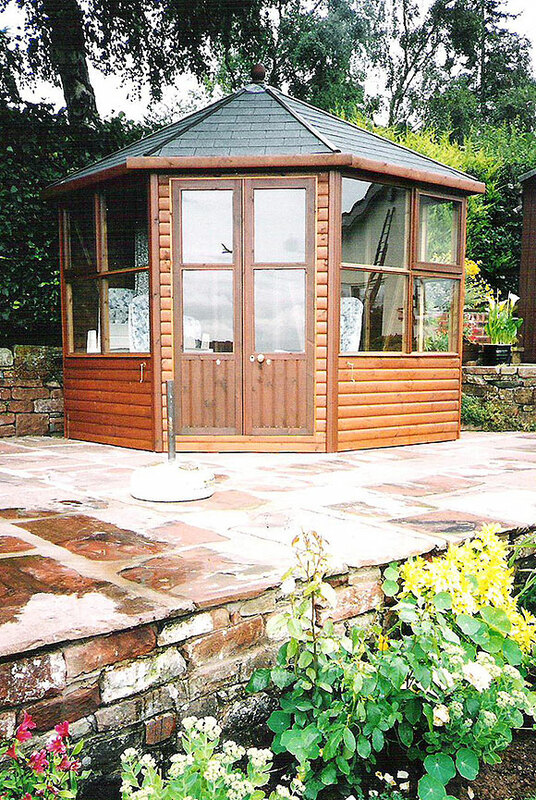 Internal lining to walls with vertical Redwood T&G boards. 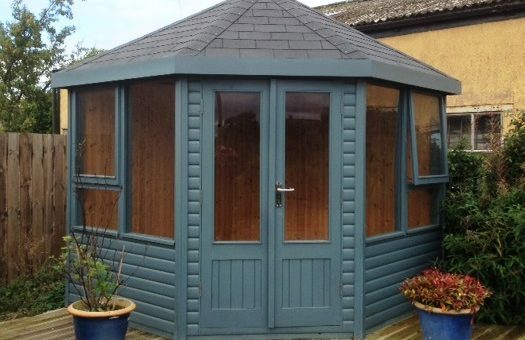 To paint the walls and ceiling internally before delivery add £250.